Hostel Advisory committee is appointed for academic and personal advice. Hostel accommodation with all amenities, meals and breakfast is also availed in the hostel premises. Safety and security of girl students is given top priority. Our college has a NO non-vegetarian policy. We do not serve non-vegetarian foods in our canteen(s) and in the hostel mess. This is a major move towards cutting carbon foot print. Ceiling fan, bed, built-in Almari, one study table with drawers, study chair, book rack mounted on wall, hangers. Reading room, parent’s waiting room, common room, Mess and dining hall. Rectors, supervisors and mess manager are always available to the students for day to day care. Facilities like RO drinking water, bathrooms, toilet blocks, electricity, boiler in each wing. We have separate UGC hostel for boys and Eklavya Hostel for ST students. These hostels are constructed adjoining the college building. Elaborate arrangements have been made in the hostel to provide academically conducive, safe, secure and above all economically affordable accommodation with homely ambience. 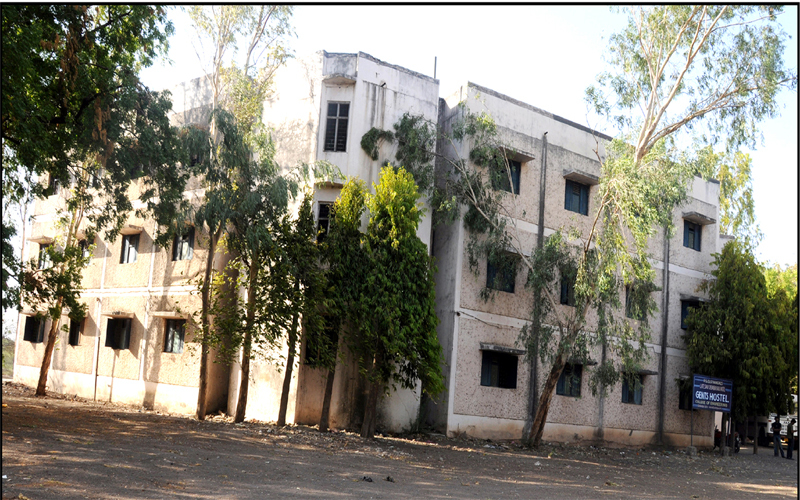 The boys hostel is a two storied building having 75rooms with capacity of 225 boys. 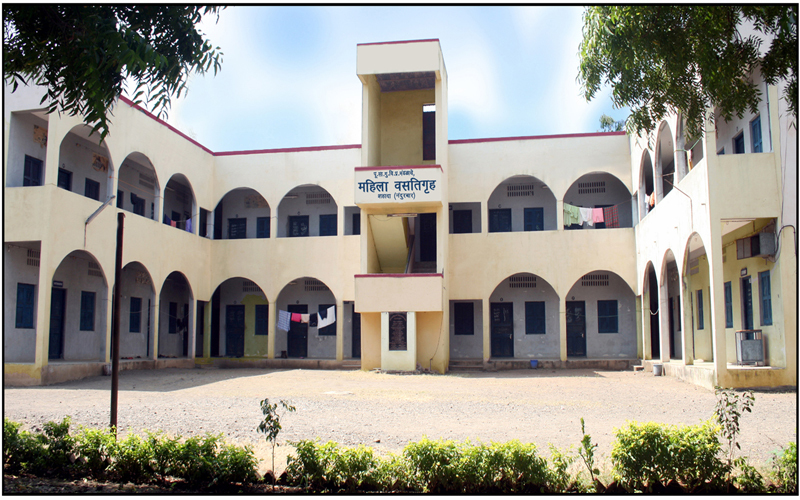 Eklavya hostel is exclusively constructed for economically poor and under privileged tribal students with 30 rooms and occupancy of 60 students. The hostel students interested in sports may avail all the facilities in the college playground. The residents can participate in any of the activity of sports within college hours, on holidays also with the prior permission of the college authorities. Yoga is also practiced outside the auditorium. First aid box is available in the hostel. In medical emergency, students are taken to the hospital closer to the hostel. The Management Body of the mandal extends the services of a well equipped cardiac ambulance in emergency cases. We are proud to say that our alumni (doctors) extend their medical service in emergency. Ceiling fan, bed, built-in Almari, one study table with drawers, study chair, book rack mounted on wall, hangers and dustbin. Hostel office to address the problems of the students. Rector is always available to the students for day to day care. Copyright © 2018 PSGVP. Designed & Developed by XYZ.